This is a very pleasant walk on a mostly waymarked route along an occasionally muddy earth path. The first part follows the river through trees that give dappled shade. 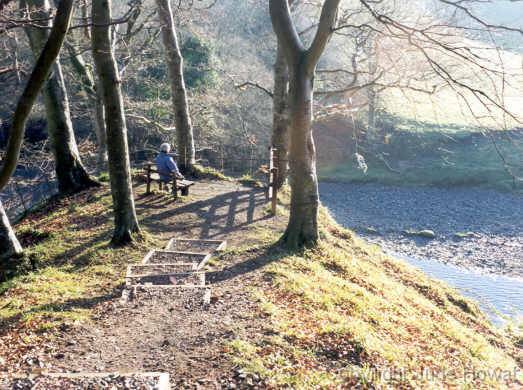 At the turning-point there is a seat by the river to enjoy the quietness and tranquility (supposedly where William Wallace sat and contemplated his fight with the English), before returning through the fields on an old cart-track between Mount Louden and Mount Stairs. Download the full walk details, including a waymarked OS map by clicking here.